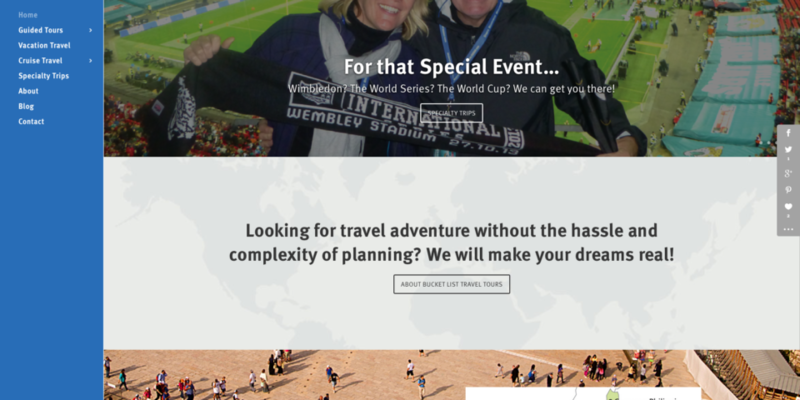 Hired by Sue Piazza to develop a website for a new venture of hers, Bucket List Travel Tours. Built within my preferred WordPress theme Divi, because of its robust set of modules and ease of customization and use. Sue is one of my clients who truly maintains her site and only needs to call upon me for more in-depth changes.